Experience an advanced all-in-1 solution with our 12-inch GPSMAP 1222xsv keyed combo. It has built-in support for Garmin CHIRP sonar, CHIRP ClearVü, CHIRP SideVü. It also has built-in support for Panoptix all-seeing sonar and premium Garmin sonar modules (transducers sold separately). Built-in single channel CHIRP sonar, CHIRP ClearVü and CHIRP SideVü scanning sonar and Panoptix™ support (transducers sold separately). Built-in Sonar Capabilities: Right out of the box, you have access to some amazing sonar capabilities; all you have to add are transducers. Comes with built-in Garmin 1 kW CHIRP sonar, CHIRP ClearVü and CHIRP SideVü scanning sonar. 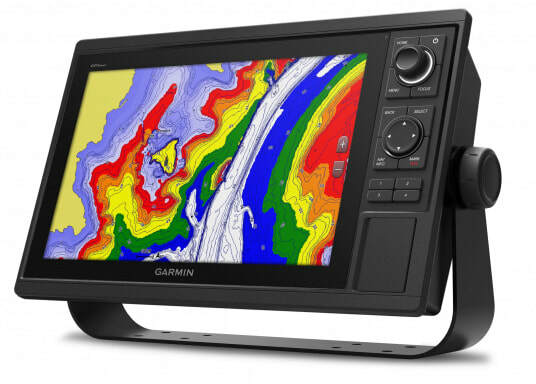 It even supports Panoptix all-seeing sonar, premium Garmin sonar modules and a wide range of transducers (sold separately). Quickdraw Contours to Create Your Own HD Maps: Instantly create personalized HD fishing maps on screen with 1-foot contours. Tailor them to fit your needs. These are your maps — you own them. Keep the data to yourself, or share it with the Quickdraw Community on Garmin Connect™.